Cambridge Capital describes itself as "a leading business angel group of 40 investors that have been investing in hi-tech businesses for ten years." Its members claim to have invested several million pounds into 25 companies in the Cambridge area. 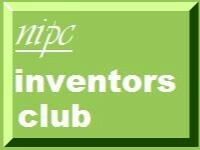 I have added Cambridge Capital's details to the East of England Angels page of our Inventors Club. Further information about resources for inventors in the region are in the East of England page of our website. For further information on this topic call NIPC East on 01603 343030 or click our East of England contact form.